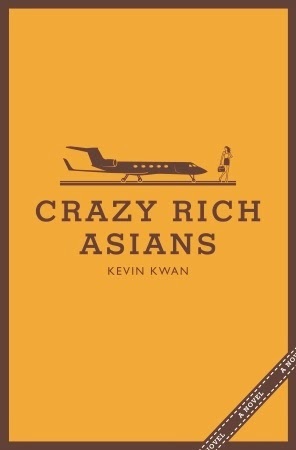 Review: I am not Asian nor rich, but I love TMZ, perezhilton and celebrity type gossip. I've been known to watch an episode of KUWK at times (yes, my husband let's me know how it's all garbage) and used to watch Gossip Girl. They are campy, stupid (most of the time) but most importantly-escapism and fun. I was really expecting to love this book but sadly, that wasn't the case. Rachel, a seemingly down-to-earth girl with a good head on her shoulders has been dating her boyfriend for two years yet knows nothing about his family (other than meeting one of his cousins) and he never talks about his childhood friends. Okay, this is believable for maybe the first 6 months but not for a couple of years. Nick never mentions his family wealth or prepares Rachel for it..he's 32, not 22. While the author certainly harped on the fact that he was raised to never talk about money and his family, this was still unbelievable to me. Now, besides the above things mentioned, Rachel and Nick seem like very nice people. Unfortunately, very nice and boring. The other cast of characters (and there are a lot-the author has a huge family tree in the beginning of the book that I constantly had to refer back to) can be summed up as follows: vapid, rude, classicist, narcissist, a-holes. I realize this is a satire and certain things were amped up, but I was seriously disgusted with almost every character (except for Rachel, Nick and Nick's cousin and her husband). I did not laugh once. The opulence was pretty fascinating for the first third of the book. But it was repetitive and at times it seemed like the author had a check list to make sure every designer was name dropped at least once. I'm still amazed this book was over 500 pages, there was very little real plot. I did enjoy Astrid (Nick's cousin) and her sub-plot revolving her husband. Their marriage problems were very real and represented valid concerns regarding Nick and Rachel. I'll avoid spoilers but how they are resolved was ridiculous and the ending of the book left something to be desired.